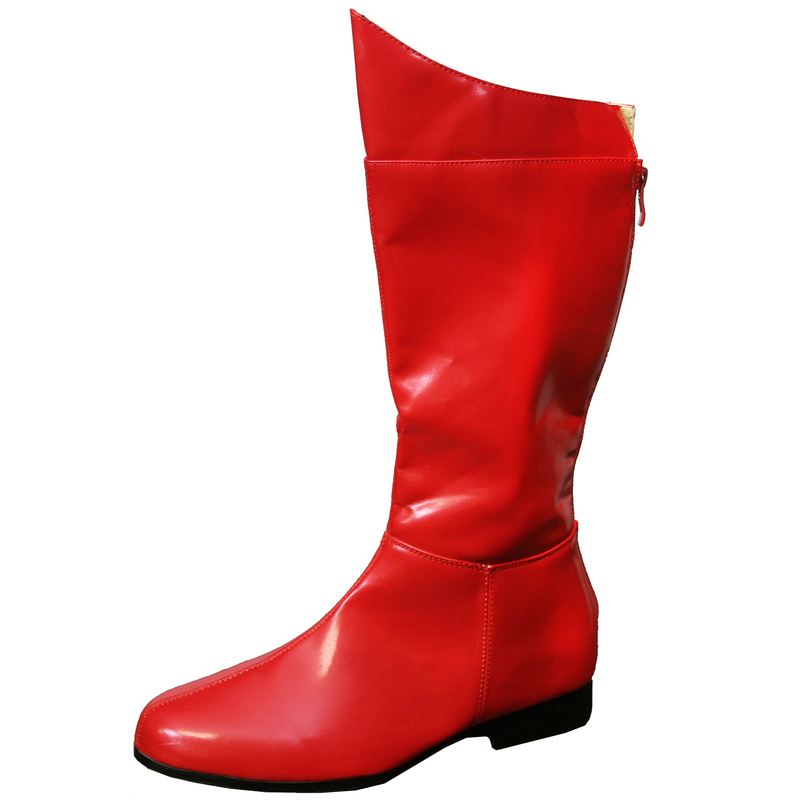 Size: Small (8-9), Color: Red is currently out of stock! 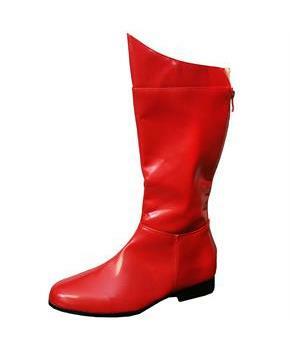 Includes: (1) pair of red super hero boots with back zipper, black sole and heel (approximately 1"). Made of Polyurethane. Please Note: Packaging is a clear plastic bag.